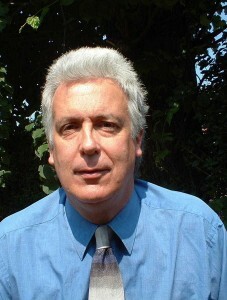 Chris Church is a founding Director of Community Environment Associates (CEA) with Jan McHarry. He has worked since 1990 as an advisor, researcher, trainer and advocate on sustainable and community development and climate change. His main focus is on the development of effective action by communities and locally-based organisations, and on how local action links to policy work at national and international level. This has been at the core of his work since 1979 (see ‘history’ section). Chris has consistently worked across disciplines, working to link sustainability issues with work on poverty and equity, health, and community development. His 1997 publication ‘An Environment for Everyone’ was the first UK publication to focus on local action on environment and equity issues and to highlight the policy gaps in this area. Chris has also worked at every level, from publications for the World Health Organisation and the World Bank, to project work on social housing estates in east London and environmental action in small villages. Since 2005 climate change has been a major focus for Chris’ work and he chairs the UK Low Carbon Communities Network (LCCN). He also runs a wide range of training courses (see Facilitation and training), both around issues and also on facilitation. He works at a European level with the NGO network, ANPED – the Northern Alliance for Sustainability, which he chaired from 1999 – 2010. A full CV can be found here and see Chris’s History page for more information. lead trainer for social enterprise Talk Action. For more information on what Chris is doing and has done, see the CEA ‘What we do’ and Chris’s History page. Chris does have interests beyond work! These include music, art and poetry alongside hill walking, Greek islands and more. Find out more here.